This body lotion is going to help you say goodbye to cracked and dry skin after your first use. Say hello to the Abundantly You nourishing and vitamin rich body lotion! When picking the perfect gift for someone else or for yourself, you can never go wrong with a hand-made item. There is a quality in handcrafted designs and products that is rarely found in stores. So, enjoy all that this Abundantly You lotion can offer. It is thick, creamy, and smooth. 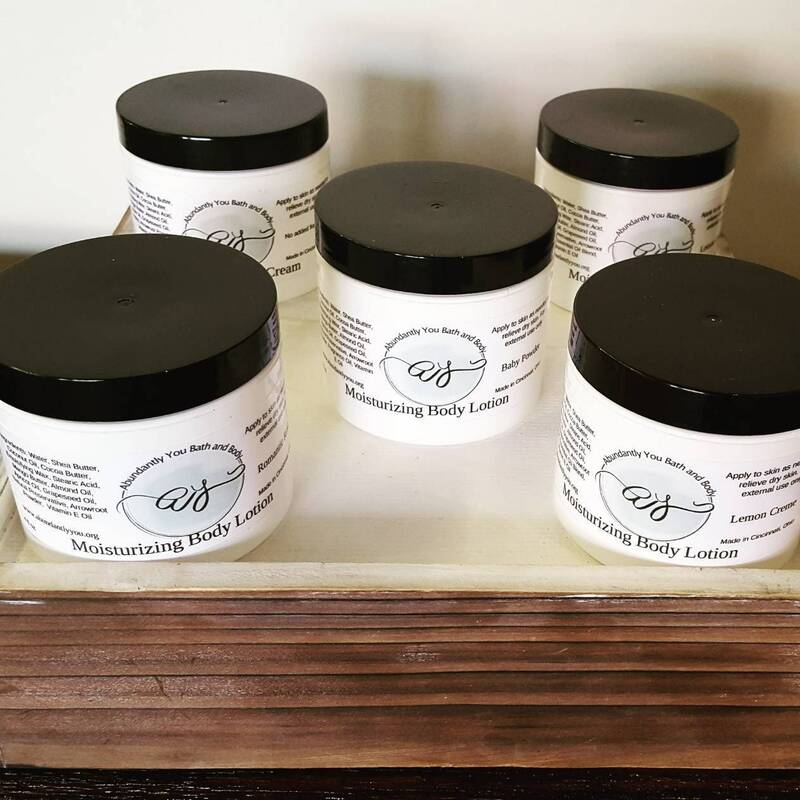 Our lotions are made with just the right blend of nourishing ingredients and grease-free to please anyone looking for a handmade lotion that will give ideal results. Lemon Crème (All Natural) - Warm sugary notes of vanilla and lemon zest. Cucumber Rose - Notes of cucumber water, rose, lily blossoms, white tea leaves, and black seaweed accord. Fragrance Free - The natural scent of blended cocoa, shea, and mango butters. This is perfect for those that have allergies or sensitive skin. 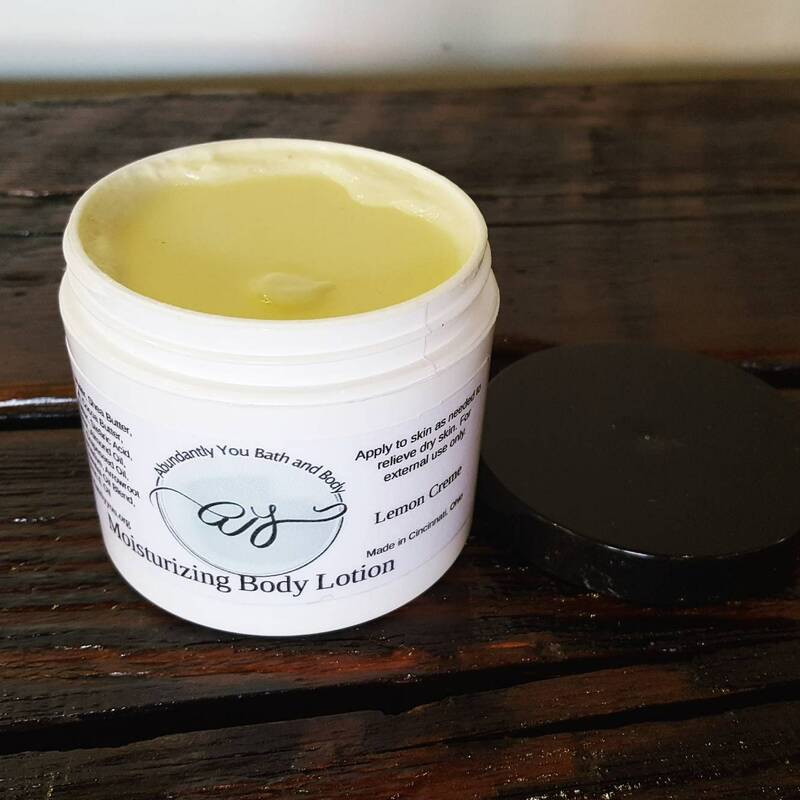 Abundantly You homemade body lotion is available in 4 fluid ounce reusable jars with lid. Note ingredients listing to prevent possible allergic reactions.